Manual time cards increase the chance of errors and duplication as well as slowing down the payroll process, unlike digital mobile attendance that eliminates errors and automatically calculates information affecting payroll, such as lateness, work from home or overtime- all in one system. 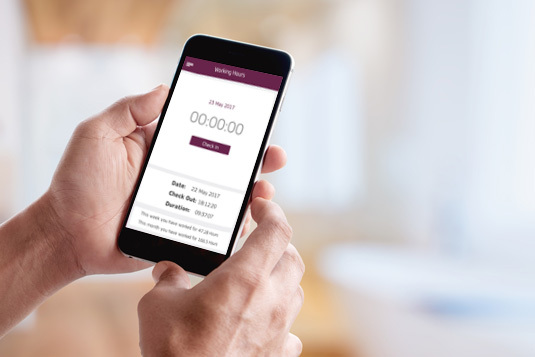 Using Purple Bureau, employees can Punch in and out using their mobile phones, and check-in while in the office, working from home or during a business mission. Their check-in locations are monitored via geolocation and the data is then instantly transferred into your payroll solution. Purple Bureau est une Communication & application de gestion des ressources humaine.